MTSU is recognized for having one of the top-ranked Industrial/Organizational Psychology master’s programs in the nation. With a projected job growth rate of 53% for the I/O field through the year 2022, the future continues to look bright for program graduates. MTSU offers a wide range of courses designed to prepare students for positions in human resource departments, consulting opportunities, or entry into an I/O doctoral program. Graduates lead careers that specialize in recruitment and selection of employees, training, job analysis, compensation, performance measurement and evaluation, leadership, workplace attitudes, organizational development, and more. The program aims to produce professionals who can apply their I/O psychology knowledge base, grounded in scientific theory and research, to organizations. Beyond a required internship, students are involved in multiple applied projects with client businesses and organizations that provide real-world experience prior to graduation. With seven dedicated faculty members, a diverse group of students, strong research opportunities, and applied experiences with actual clients every semester, the I/O program at MTSU offers students a unique and high-quality education. Three of MTSU’s I/O Psychology master’s students have received the Outstanding Graduate Student of the Year Award from the Society of Human Resource Management (SHRM) in an eight-year period. This national award considers any graduate-level student in an HR-related field. One of the most recent award recipients, Matthew Sikorski, was up against approximately 150 other doctoral and master’s students across the country. Sikorski says that MTSU’s program provided him with the knowledge, tools, and opportunities to achieve the award through evidence-based classes, projects with the program’s consulting firm COHRE, and the University’s strong SHRM chapter. “MTSU’s I/O program truly is a top destination in the field for anyone trying to get a comprehensive education with both applied and scientific components,” Sikorski said. The MTSU SHRM chapter also earned the Merit Student Chapter award for the 2015–16 school year. One of the contributing factors to the national acclaim of the I/O master’s program at MTSU is the on-campus consulting firm. The Center for Organizational and Human Resource Effectiveness (COHRE) is an unrivaled resource for expanding students’ opportunities to work on consulting projects beyond the classroom. COHRE provides a high-profile avenue for creating consulting partnerships between the business world and the program’s students and faculty. Utilizing the expertise and experience of MTSU faculty, graduate project associates, and consultants, COHRE helps clients meet their human resources and organizational development needs. In addition to the professional consulting experience, students leave the program with a résumé full of clients. Many students work directly for COHRE, and all have class projects and internships that develop from COHRE’s client relationships. The consulting firm is truly an unparalleled resource unique to MTSU’s I/O master’s program. the Master of Arts (M.A.) with a major in Psychology and concentrations in Clinical, Experimental, Industrial/Organizational, Quantitative, and Pre-Specialist in Education: School Psychology. the Specialist in Education (Ed. S) with a major in Curriculum and Instruction and a concentration in School Psychology. The Industrial/Organizational Psychology concentration is designed for those interested in applying psychology principles in business, industry, or government. Those pursuing the I/O concentration will complete a two-year, full-time program. Typical average scores of admitted students are GPA 3.6, GRE-Quantitative 149 (600 with previous GRE format), GRE-Verbal 151 (470), and GRE-Analytical Writing (4.5-5.0). The Academic Common Market allows out-of-state students from Tennessee’s neighboring states to pay in-state tuition for approved academic programs. A minor in Psychology at the graduate level is also available at MTSU. The department also offers a Bachelor of Science (B.S.) with majors in Industrial/Organizational Psychology, Psychology, and Psychology with a Pre-Graduate Psychology concentration. An online psychology degree is available in conjunction with the University College. MTSU undergraduates can earn a minor in one of five psychology fields: Psychology, Life Span Development, Mental Health Services, Industrial/Organizational, and Neuroscience. The department participates in an interdisciplinary minor in Behavioral Research. The Department of Psychology offers programs which lead to two graduate degrees: the Master of Arts with a major in Psychology and concentrations in Clinical, Experimental, Industrial/Organizational, Pre-Specialist in Education: School Psychology, and Quantitative Psychology and the Specialist in Education with a major in Curriculum and Instruction and concentration in School Psychology. The department also offers a minor at the graduate level. In order to be considered for unconditional admission, candidates must meet two standards: an undergraduate grade point average (GPA) of 3.00 or higher and a minimum score on the Graduate Record Exam (GRE). A minimum score of 141 on the quantitative measure of the Graduate Record Examination is expected for admission to the I/O concentration within the Master of Arts in Psychology. Applications for Summer/Fall admission must be complete by March 1 and applications for Spring admission must be complete by October 1. Late applicants who meet the admission criteria may be considered on a case-by-case basis. (See admission standards under Admission to the College of Graduate Studies.) Applicants to the Industrial/Organizational Psychology program must provide a letter of intent stating goals and objectives. submit a resume' or curriculum vitae. For more information about application materials, please see mtweb.mtsu.edu/iopsych/prospectivestudents.html. Prerequisite: PSY 3020 or equivalent or admission to Psychology graduate program. Corequisite: PSY 6281. Review of basic statistics; various correlation coefficients; multiple and partial correlation; simple and multiple regression. Laboratory included. Prerequisite: PSY 3020 or equivalent or admission to Psychology graduate program. Corequisite: PSY 6291. Review of basic statistics. Scientific quantification, research design, and statistical analysis from the perspective of analysis of variance: one-way, factorial, repeated measures, and mixed designs. Laboratory included. Prerequisite: PSY 3020 or equivalent. Theory and methodology used in the training and development of human resources in organizations: needs assessment, program development, program evaluation, and legal and special issues in training and development. Prerequisite: Consent of instructor. Supervised experience in industry, business, or government using psychological principles at a professional, applied level. Supervised literature review and/or readings on a topic of current importance in psychology. Topics and requirements obtained from individual faculty members. Specific courses may be repeated to a total of 6 credits. Covers the theory, techniques, current research, legal issues, and reliability and validity concerns associated with the practices of: job analysis, competency modeling, performance appraisals, and developing performance management systems. Survey of issues related to professional ethics, relevant legislation, professional affiliations, professional identity, and professional responsibilities. Prerequisites: PSY 5260 or PSY 6050 and preferably PSY 6280. Employee selection decision making. Considers individual differences, recruitment, selection tools, measurement issues, validation procedures, and legal constraints. Review of theory and empirical research in organizational psychology. Students will apply theory and research findings to understand and explain work behavior at the individual, group, and organizational levels and will use this knowledge to solve organizational problems. Prerequisite: PSY 6280 or permission of instructor. Theory and appropriate methodology for conducting research relevant to human resource practices in organizations. Applied psychometric theory and quasi-experimental design. Prerequisite: Admission to program. Expectations, requirements, and procedures involved in a practicum in the Industrial/Organizational Psychology program. Encourages students to assess career goals and helps facilitate selection of a practicum that moves toward exploring and meeting those career goals. Design and management of compensation systems including job evaluation, salary market data, pay for performance, legal issues, benefits, and practical applications. Prerequisite: PSY 6450 or permission of instructor. Analysis of theory and practice of organizational change and development, process of change, organizational development (OD) interventions, and evaluation and research of OD effectiveness. Prerequisite: PSY 6450. Special topics in employee attitudes and motivation and the measurement of employee attitudes through the use of organizational surveys. Develops skills in survey techniques and includes practical experience with surveys. Prerequisite: PSY 5380, PSY 6450, or permission of instructor. Analysis of factors leading to effective work groups. Topics covered include task effects on performance, group composition, leadership, group processes, and team building. Prerequisite: PSY 3320/PSY 5320 or consent of instructor. The process of designing for human use. Considers individual differences, visual, auditory, and tactile displays, anthropometry, illumination, noise, humans in motion, and space and environmental studies. Prerequisites: PSY 6280, HHP 6700, or equivalent. Surveys each of the major factor analysis techniques and related latent trait theory with main focus on application. Nature, power, procedure, computer programming, interpretation, and limitations of each technique. NOTE: This is not an inclusive list of all potential alternate electives, and some may be available from other departments. Advisor approval required for all electives. When applying for entry into the graduate program, this form should be given to each of your three references. Recommendation forms should be attached to recommendation letters and returned (by your reference) directly to the College of Graduate Studies. If you would like to be considered for a graduate assistantship, you must submit additional materials. Positions ARE available to first-year students. Each student must fill out this form and turn in to the College of Graduate Studies by the end of the first year of classes. This form must include prerequisites needed, required courses (already filled in), and electives the student plans to take. The form must be signed by the student’s advisor. If a student decides to change his/her chosen electives after a Candidacy Form has been submitted, a revision form must be filled out and turned in to the College of Graduate Studies. This must also be signed by the student’s advisor. Students must complete registration form before the deadline to take comprehensive exams. Find information on typical scheduling of classes, plus elective options for students in the first and second years of the program. This handbook provides a comprehensive guide to the thesis process, including general guidelines, format and style requirements, sample pages, and other relevant information. This can be used as a simple guide through the thesis process. It must be submitted with the final thesis and signed by the thesis advisor. This form must be signed for the thesis proposal. This form must be signed for final thesis approval and be included with the final thesis document. Get details on steps a student must take in order to graduate with a master's degree from MTSU. Our I/O Master's students are strongly represented in membership and leadership positions for this student chapter. Middle Tennessee regional chapter of SHRM of over 1,100 HR professionals are held in Nashville, Hendersonville, and Franklin. This regional chapter of ATD provides a network for talent and development. MTSU students often participate in and attend this annual student conference, held by the I/O Psychology master's program at the University of Tennessee–Chattanooga. Faculty and students both often attend this annual conference for SIOP. Industrial/organizational psychology is the scientific study of improving the workplace by studying employees and organizations. More simply stated, I/O psychology can be described as human resources meets organizational development. The “I” side of the field involves examining how to best match individuals to specific job roles, while the “O” side is more focused on understanding how organizations affect individual behavior. However, the two sides are equally important and work together within the field. Specific topics in I/O psychology include recruitment, selection, compensation, performance appraisal, training, socialization, motivation, leadership, group performance, human factors, and organizational development. I/O psychologists often work in a human resources department, consult, or conduct research. What makes your program stand out from other programs? First, we have seven full-time faculty members whereas most I/O master’s programs rarely have more than three. Second, in addition to rigorous academic work, our program puts a strong emphasis on applied experiences, which allows students to gain real-world experience by working with local businesses and clients. Additionally, each year our classes consist of a diverse group of students, varying in both home location and personal experiences. Are there opportunities to get involved in real-world projects? A strength of the program in the availability of opportunities to participate in projects that provide students with real-world experiences outside the classroom. Students receive these experiences through required internships, course projects, COHRE (Center for Organizational and Human Resource Effectiveness), and other outside opportunities. During the required internship, each student is able to work with a company using the knowledge and skills they have learned in the program. Past students have had internships with Nissan, General Electric, Bridgestone, State Farm Insurance, Gaylord Entertainment, FedEx, and many more. Beyond the internships, each semester students are involved in at least one applied project through course projects or involvement with COHRE. What are your alumni doing now? Our alumni are a varied group working in several different positions, countries, and corporations. Examples of places where our alumni currently work at are Coca-Cola Co., Microsoft, Bridgestone/Firestone, Dell Computers, WorldCom, Verizon, just to name a few. While many alumni enter directly into the workforce after completing our program, several have gone on to successfully obtain doctoral degrees. The balance of academic rigor and applied experiences offered by the program prepares students to enter the workforce or pursue I/O doctoral programs. Before applying to our program, please refer to the Requirements tab to determine if you have met our application requirements. If you have met or will be meeting our requirements, you can submit an Online Application for Admission. Please note that the general application deadlines on this online form do not apply. The I/O master’s program deadlines are March 1 for the Fall semester (primary selection time) and Oct. 1 for the Spring semester (few if any openings). Next, you will submit all additional application materials to the College of Graduate Studies. Application materials are also outlined under Requirements and must be submitted on or before the application deadline. If you would like to be considered for a graduate assistantship, you must complete a separate and additional application. This application can be submitted at the same time as your application for admission. What is the typical academic profile of program applicants? Admission to the master’s in I/O Psychology program is competitive. Each year, the program admits 10–13 new students. The program usually draws 60–80 applications who meet the minimum qualifications. Of those admitted, the typical average scores are: GPA 3.6, GRE-Quantitative 149 (600 under previous GRE format), GRE-Verbal 151 (470), and GRE-Analytical Writing 4.5–5.0. What do you like to see in a personal statement? Successful personal statements may address the following: 1) why you are interested in I/O psychology; 2) why you are interested in our program; 3) research and relevant experience; and 4) additional information that will help us know more about you. What does it cost to attend graduate school at MTSU? Cost is a primary concern of those looking to invest in attending a graduate program. 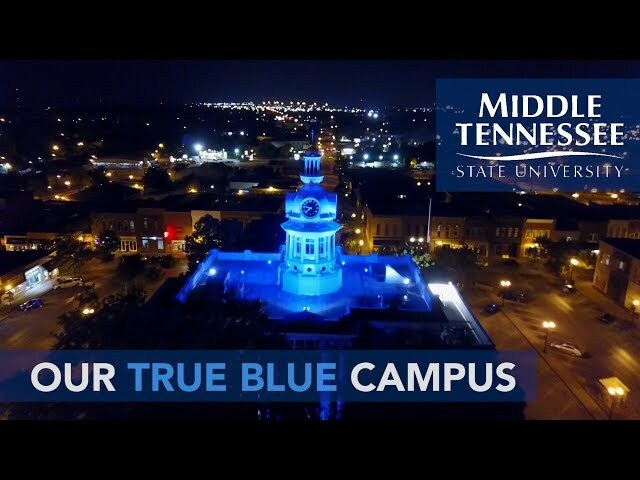 At MTSU, tuition and fee rates are set on a yearly basis. View this year’s graduate fee chart. There are many resources for financial aid available to incoming students. Most incoming students will receive a graduate assistantship, which may provide tuition assistant and a stipend. Other assistance is available through student loans, paid internships, COHRE projects, etc. Our Financial Aid information page can provide more information on these different opportunities and how to apply for a graduate assistantship. Can I talk to a current student about the program? Yes! Our current students are happy to talk to prospective students. Second-year students Caleb McLaughlin (cdm7y@mtmail.mtsu.edu) and Erin Leuschke (eem3d@mtmail.mtsu.edu) have volunteered as the contact persons for prospective students. Please feel welcome to reach out to them.